I loved the colour scheme for this beautiful wedding. Ida had given me some pictures showing the colours that she would like so I used these as a guide to create something special for their wedding. I selected coral amaryllis, vuvuzela, miss piggy and blueberry roses along with daisies and mixed foliage. 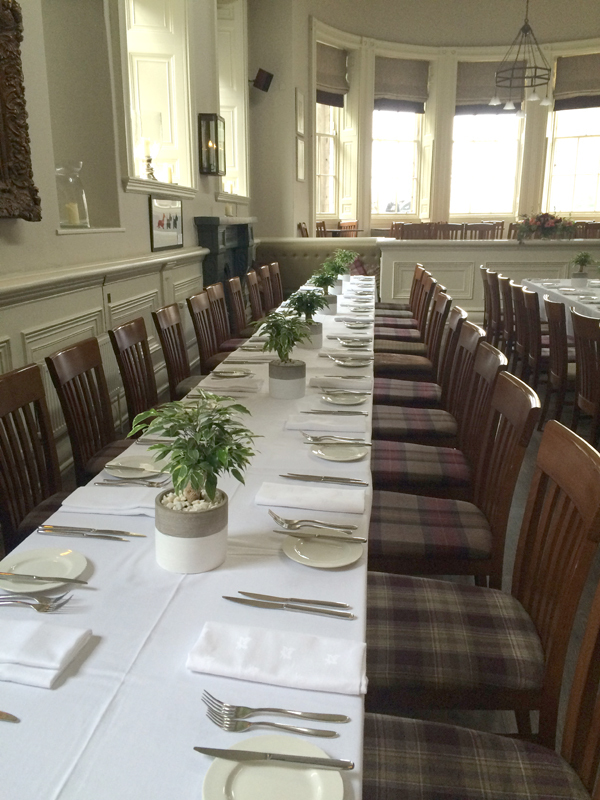 The ceremony was held at Cannongate Kirk on the Royal Mile with the reception held at Howies Waterloo. 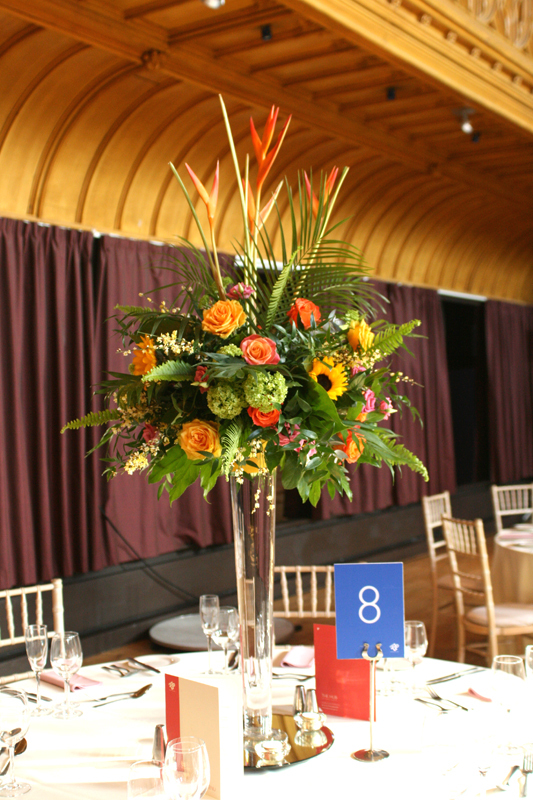 We provided a pedestal arrangement for the church and potted plants for the tables at Howies. Congratulations to the happy couple. I hope you had a lovely day. I received this lovely message from Ida & Bryce a few days after their wedding. 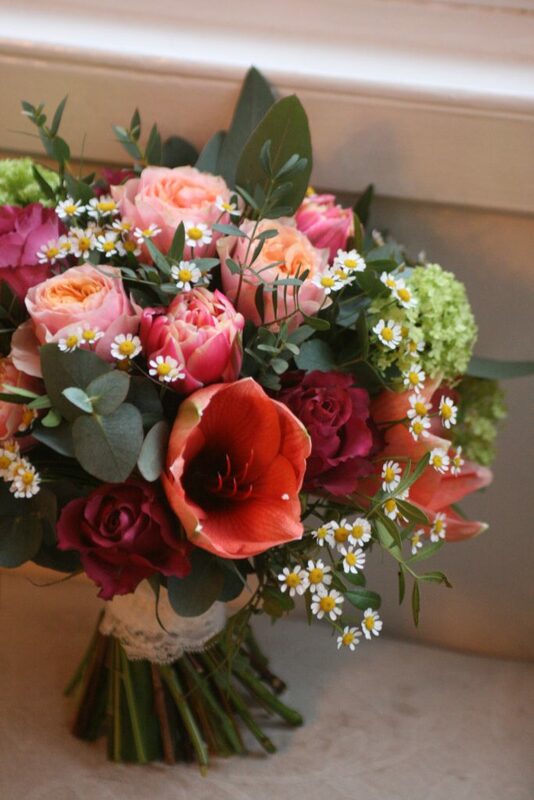 “I can’t tell you how delighted we were with your flowers on Saturday. 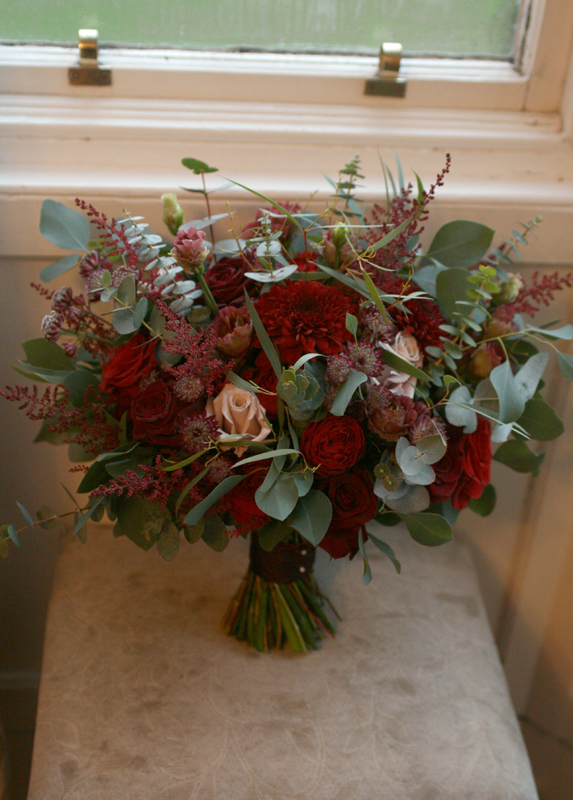 They were the most gorgeous flowers I’ve ever seen – I couldn’t have been more pleased. Guests were praising the pedestal arrangement in the church. 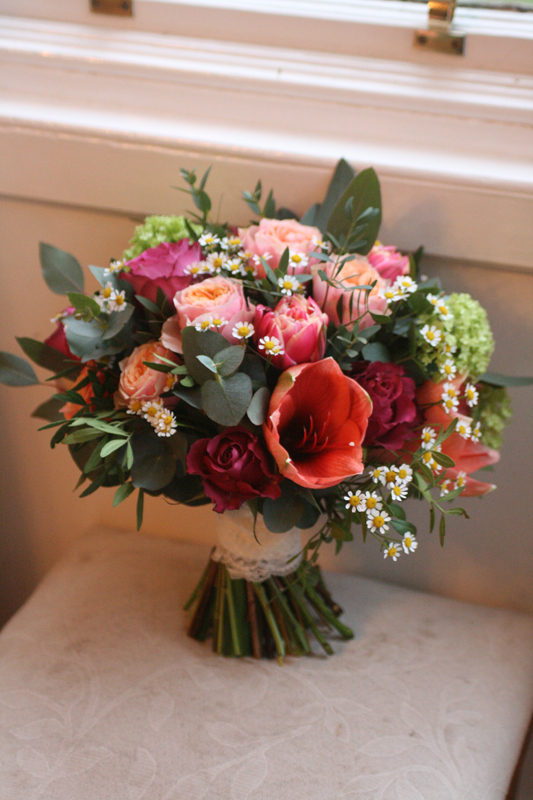 I even managed to take one of the bouquets with me on the plane back to Norway – just couldn’t let it go. Communication leading up to the day was also a dream. Thank you so much! Ida & Bryce”.